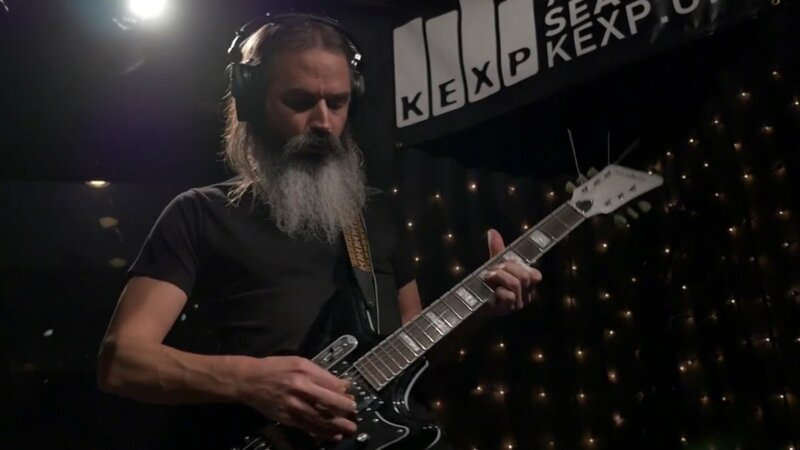 San Francisco rock group Moon Duo stopped by the KEXP studios in Seattle to play some songs and give a brief interview with host Cheryl Waters. Watch their performance above. To open the set, the group premiered two songs from their upcoming album, Shadow of the Sun. "Wilding" is propelled by Sanae Yamada's hypnotic synthesizer notes and Ripley Johnson's spacey guitar riffs. Wasting no time, the group go into "Free The Skull," a mid-tempo tune with meditative drum beats and a heavily distorted guitar sound. In the interview, Sanae and Ripley explain that they needed a drummer for tour, and John came recommended to them. 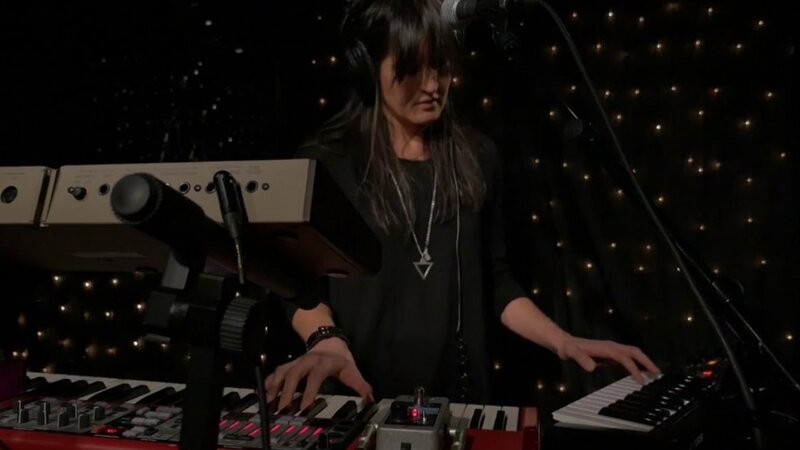 In past album recordings, the band used drum machines, but Shadow of the Sun marks the first time that they've had a drummer in the studio for recording. The group sheds some light about mixing their albums in Berlin and friend Phil Manley's place in San Francisco. Wrapping up their conversation, the band express working with skateboarder Richie Jackson in their video for "Animal." After the interview, the band break into the hyper charged "Animal" Closing out their performance is "Slow Down Low," a psychedelic jam that entraps the listener in its groove. Shadow of the Sun will be out on March 3rd via Sacred Bones Records. It's available for pre-order on Amazon (Vinyl, CD, MP3). For Moon Duo's latest music, news, and tour dates, check out their Zumic artist page.